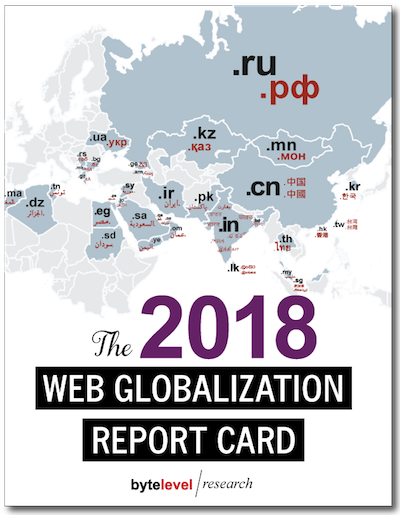 The 2018 Web Globalization Report Card benchmarks the world's best global websites — and how they got there. The 2019 Report Card is now available! How do we build a user-friendly global gateway? How valuable are country codes to people around the world? This report, now in its 14th edition, answers these questions and many more. 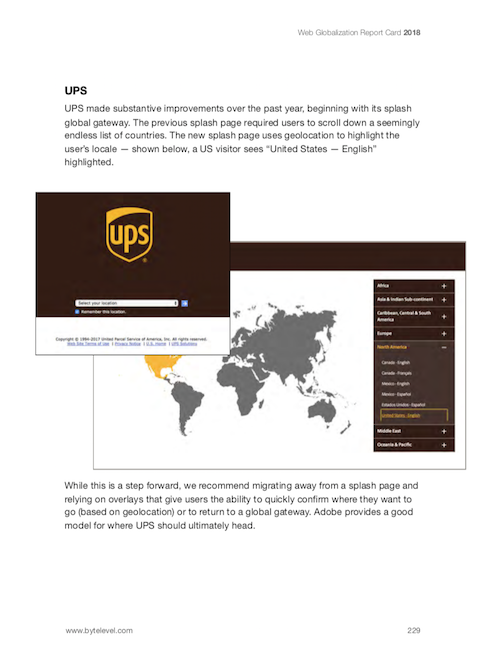 You’ll learn which companies have improved their global and mobile websites — and why. Through website profiles, loaded with screen shots, you'll learn which practices to emulate and which to avoid. More than a dozen industries are profiled, with key globalization developments and best practices highlighted with screen shots. This year, like years before, we benchmarked 150 websites across more than a dozen industry categories. These websites comprise 80% of the companies on the Interbrand Best Global Brands 2017 list and more than 30% of the Fortune 100, ensuring a broad reach of global brands and businesses. Wikipedia unseated Google this year. While Google regressed slightly in its global navigation, Wikipedia made a subtle but important step forward. And Wikipedia supports the most lightweight mobile website of any of the 150 websites studied. NIVEA provides a good case study of a company that localizes its models for a number of its local websites (though there is still plenty of room for improvement). Hotels.com and Booking.com remain closely matched in both languages and global gateway strategies -- and continue to lead over airline, hotel and cruise line websites in global best practices. 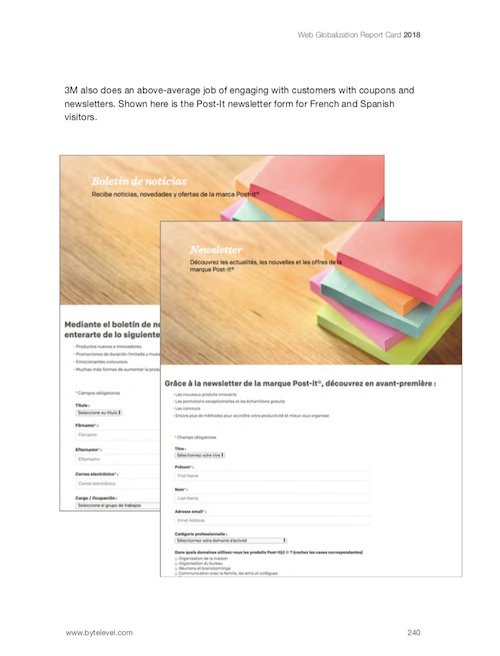 Consumer goods companies such as IKEA and Nestlé are a positive sign of non-tech companies continuing to improve their website globalization skills. This year, we added a small number of religion websites to the mix based on their support for languages. The JW.org website leads all websites with support for more than 600 languages, and the LDS.org website supports 115 languages. 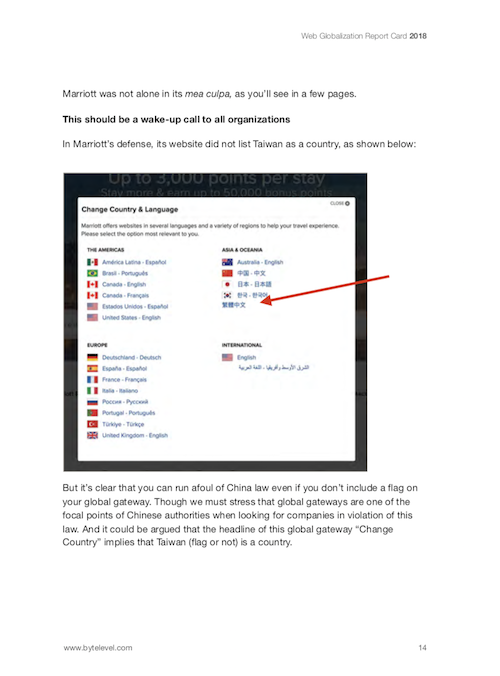 But they made the top 25 list not just because of languages but because they exhibit of a number of web globalization best practices. China missteps plagued a number of companies over the past few months, including Zara and Delta Airlines. We include information on how companies can avoid these issues -- as well as a new report: Web Globalization Bloopers & Blunders. The average number of languages supported by all 150 global websites is now 32. It was a relatively slow year for many companies, though websites such as Google, Facebook, Zara, Pfizer, Netflix, IKEA and Xiaomi continued to add languages at a good pace. 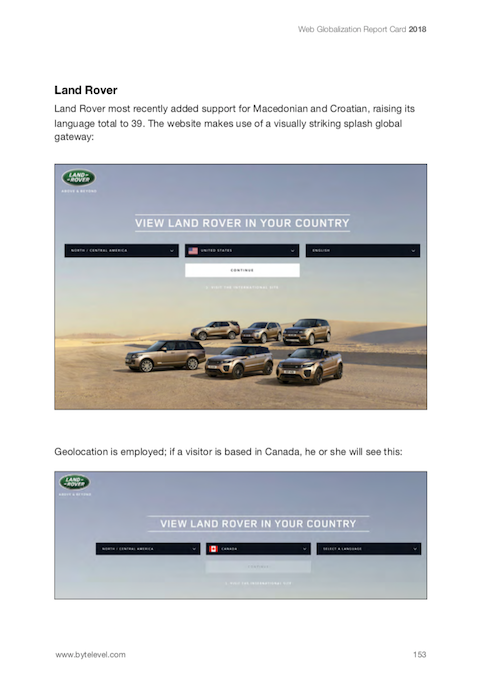 The global gateway location: Header or footer? How many websites support Spanish for the US? How much flexibility is too much flexibility? We survey a wide swath of global companies across all major industries to provide a well-rounded overview of the state of web globalization. Within each industry, we include the leading companies with a focus on brand leadership. We include more than 30% of the Fortune 100 companies and 80% of the 2017 Interbrand 100 Best Global Brands.